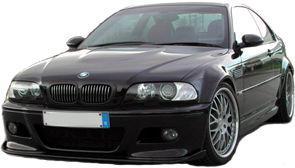 AC SCHNITZER, HAMANN, BILSTEIN, H&R, UUC, RMS, RACING DYNAMICS, SUPERSPRINT, and EISENMANN parts for BMWs. We are always bringing in new products and brands for BMWs. The latest lines include DEMON EYES, ESS Superchargers, and soon Carbon Fibre Hoods. More hard to find and excting items are in the works or already available. If you have heard about a part that you can't seem to find, email us! We have gone out and become suppliers for brands just for single customers who wanted a hard to find part! Active Autowerke E36 High Flow Track Pipe!!! We are now taking orders for AA's new high flow track pipe! Shipping Now! Just 28 lbs, vs. 40 lbs stock E36 M3 catalyst. more level with the road. © 2001-2013 KO Performance. All Rights Reserved.